Nitrogen tire inflation is a still a new concept that’s only now working its way into the mainstream. There’s still a lot that people don’t know, as well as a lot of misinformation floating around about what it is and how it works. 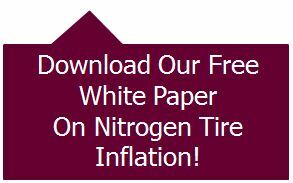 We’re here to “clear up the air” with some additional news and resources about nitrogen tire inflation and tire care. If this isn’t enough for you, we have previous news roundups with other articles for you to read. Is it Worth it to Put Nitrogen in Tires? – servicewithsarah.com – The quick answer is yes, yes, and YES! It’s something we’ve emphasized for a while and here it is coming from another voice! Guide to Proper Tire Inflation – partsgeek.com – We need to thank Janet Reid and her student, James, for this suggestion. It’s a great article about what it takes to have tires at proper tire pressure, how proper tire pressure improves your fuel efficiency, and a few tips on good tire care. Redesigned 2012 Ford Focus Excels in Fuel Economy, Power, and Comfort – thechronicleherald.ca – This is a new car that comes with nitrogen-filled tires. If only all new cars and new models would come this way! Air Pressure – Correct, Underinflated, and Overinflated – Tirerack.com – Proper tire inflation is really what nitrogen tire inflation is all about. With nitrogen, you can maintain your tires at their proper tire pressure for a longer period of time, which improves fuel efficiency and tire life. 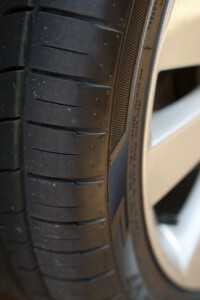 Tire Safety Tips – Cars.about.com – Nitrogen tire inflation is also about tire safety. With your tires at proper tire pressure, you have less risk for flats and blowouts. Bigger vehicles need bigger tires. For example, compact cars have smaller tires than SUVs. This consideration is obvious and straightforward, but surprisingly, many people don’t get it right. They don’t give size much thought because they think it’s easy to determine. After all, just one look will tell you that a truck’s tire can’t fit on a two-seater sports car. 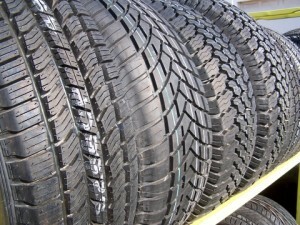 However, a problem can arise when tires seem to fit, but actually don’t. A few millimeters off is not obvious to the naked eye, but it sure makes a difference in the car’s long-term performance. Precision is the key here. Before buying a new set tires, check the specs of your car if you’re unsure about the exact size. You can usually find the information you need in the manual that came from the manufacturer. You can also look for the decal that has a listing of the tire specs on the glove box lid or on the door jamb. If you don’t have the manual or the decal, you can refer to the sidewall of one of your current tires. You’ll see an alphanumeric code that begins with “P” running along its circumference. The three numbers following “P” indicate the tire’s width in millimeters. Next, you’ll see a slash, after which, you’ll see two more numbers that tell you the percentage of the tire’s height compared to its width. The next letter, “R,” identifies the radial construction. The two numbers after it represent the diameter of the rim in inches. These numbers should be enough to tell you what size to get for your new set of tires. As a general rule, get tires with the same specs if your current tires have worked well for your car. Two tires can look the same, but they may have different load-carrying capacities. Again, check your car’s specs to determine the maximum weight your tires should carry. The manual and the decal have that information. The alphanumeric code on your tires has that, too. After the two numbers indicating the wheel diameter, you’ll see another pair of numbers. This corresponds to the load index of the tire. You can search for complete load index charts online to check the exact maximum weight that corresponds to your tire’s numbers, or you can go here. As a general rule, a high index means a high maximum load. Take note that tires should not just support the car, but the passengers and cargo inside it. Thus, it’s not advisable to go for a new set of tires with a lower index than what your car is used to. It’s best to stick to the load index of your current tires. You can also go higher if you know that your car will regularly carry a lot of people and/or stuff. Just make sure that the size and the other measurements match your car’s when you buy tires with a different load index. Ultimately, your tires affect your car’s performance. It’s best to think about how you use your car when buying a new set of tires. If you know you’ll be driving down some snowy streets, equip your car with all-season tires, or better yet, with specialized snow tires. Summer tires won’t be up for the job; don’t even try driving in winter with these on. If you drive fast, choose tires with a high-speed rating. You can determine the rating by looking at the letter beside the load index in the alphanumeric code. The range is A to Z, with A being the lowest and Z the highest, but you’ll usually find a range that falls between Q to Z for most cars. Again, refer to charts that are searchable online, but for a quick reference, you can check this out. Remember that these are just guidelines to help you get started on your search for a new set of tires. When in doubt, the best thing you can do is find a store that you trust. The salespeople will be more than happy to entertain any specific questions you may have about buying new tires.